The instructors and guides offer you to share their knowledge of the area around nature walks. Open your ears and especially your eyes! Located in Plaine-Joux. Discover the pleasure of paragliding. 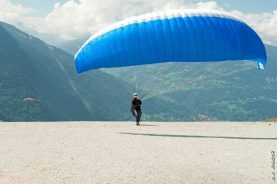 From introduction session to improvement courses and tandem flight discovery in Passy as well as in the whole Mont-Blanc region. 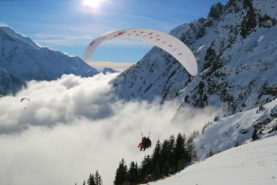 ASC is a paragliding school based in Chamonix. 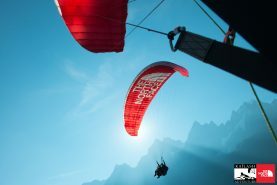 We provide paragliding courses , speed-riding courses, and, for the one who just want to fly over chamonix valley , paragliding tandem flights. Learning and improving different skiing practices: new snow spots, private or group lessons for children and adults. 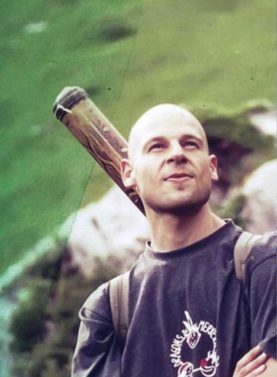 Alpine leader, ski instructor and relaxation therapist. A team of professionals at your service, to organize an unforgettable holiday in the country of the Mont Blanc in a very relaxed and friendly atmosphere. 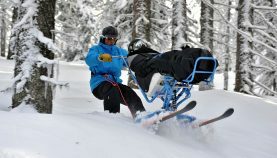 This association enables a great number of disabled people to enjoy a choice of alpine activities: skiing, paragliding, rafting, rock-climbing etc. Qualified instructors. Your 100% successful hollidays. We care of your activities and take over all your needs during your stay. 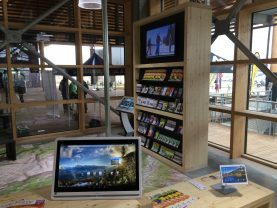 The Tourist Information Center is also open all year round in Mountain Store.